This product has been discontinued with stock exceptions. 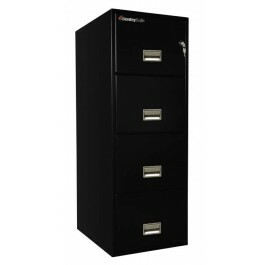 Please see substitution products on FireSafeStore.com. Call us if you have questions. 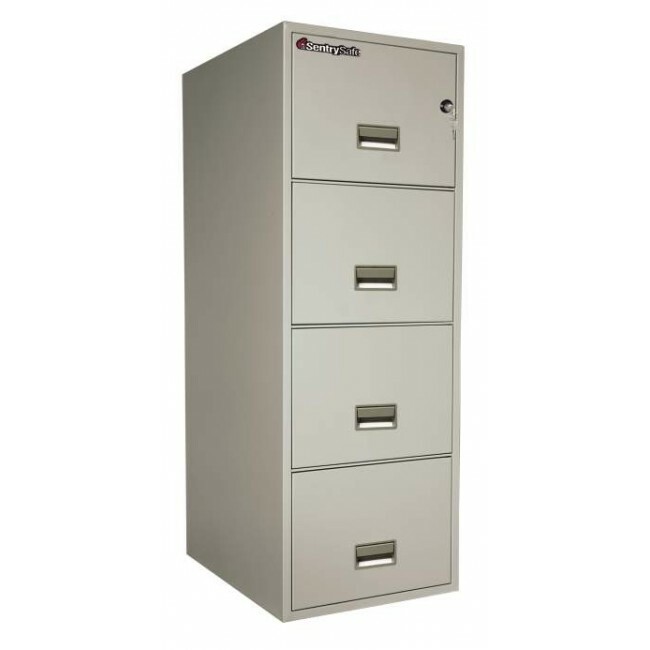 For great fire and water protection look to the Sentry 4G2531 four drawer filing cabinet. 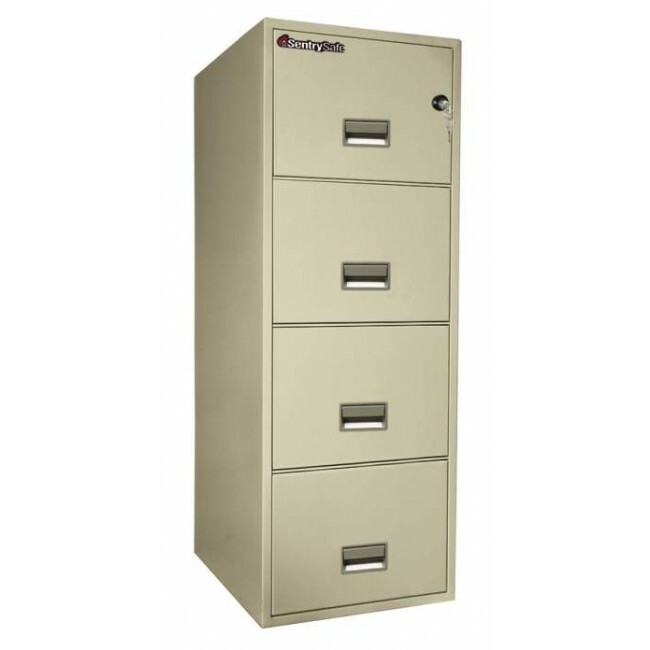 This filing cabinet has UL 1 hour fire protection label. 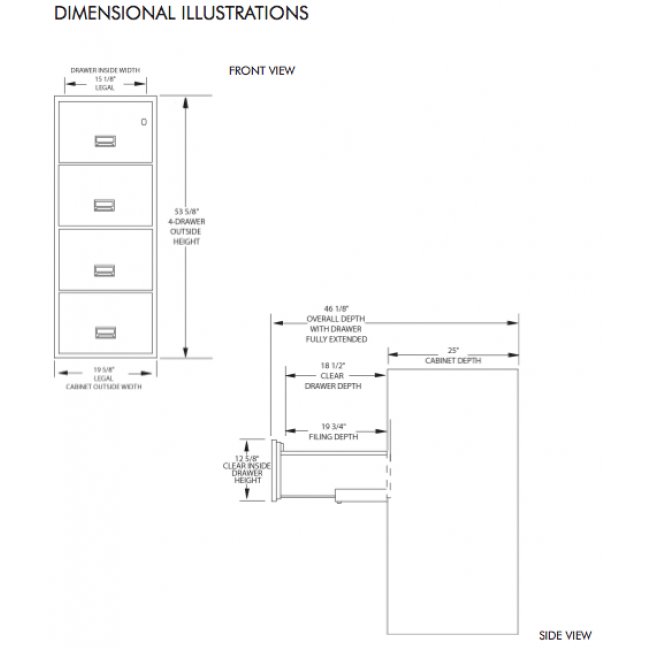 The drawers can be set up for either legal or letter size documents. In addition, the 4G2531 carries the UL labels for explosion hazard protection and impact protection. 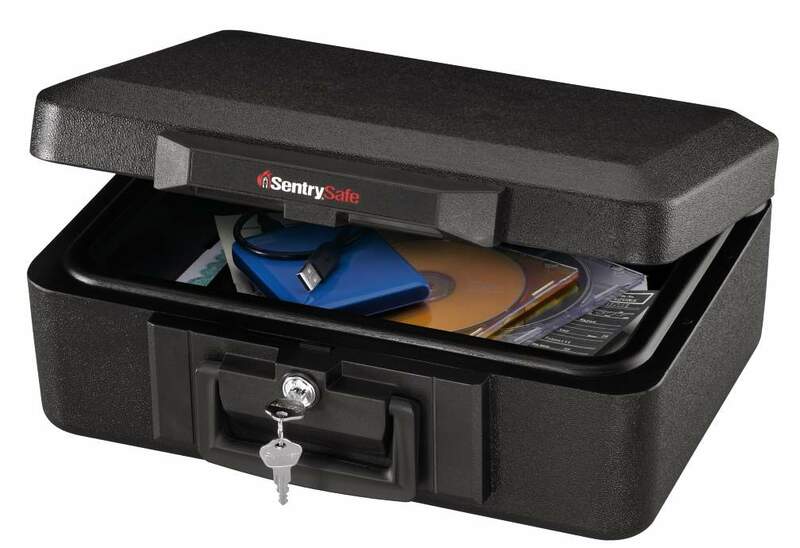 This Sentry 1100 digital media chest comes included when you order this fire rated cabinet! 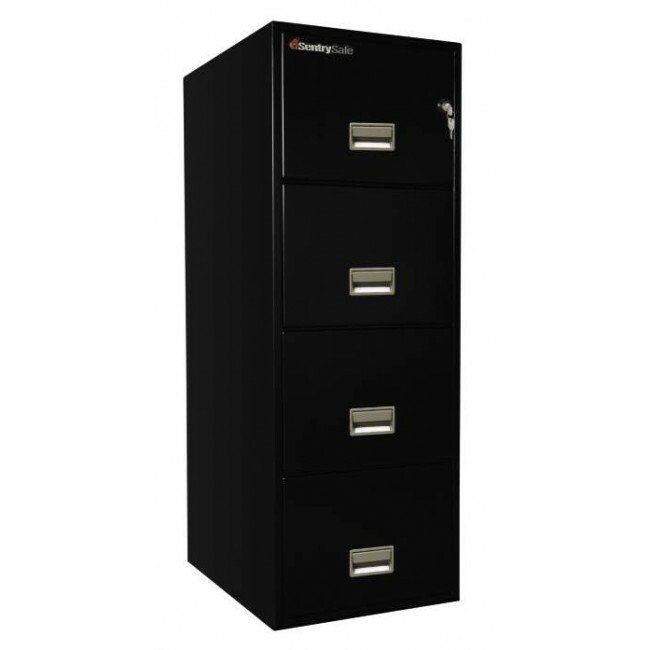 Protect hard drives, discs, tapes, memory sticks, and other digital media in this 1/2 hour fire rated case!